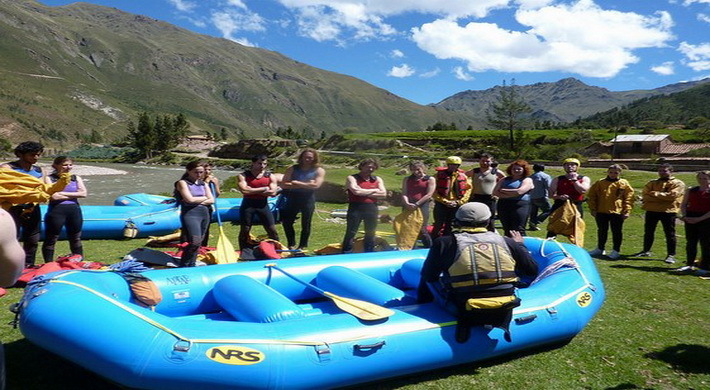 Rafting and kayaking the rivers of Peru will be an unforgettable experience that you will really enjoy. The waters that flows down from the Andes form the mighty rivers of Peru and Chile, an authentic and irresistible challenge for lovers of rafting and kayaking , is an experience that will put you on the edge of risk and danger. 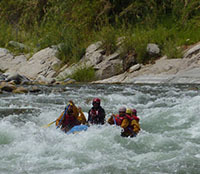 This section of the river is more intense with adrenaline pumping rapids Class III & IV on the Chuqui section of the river we will include a safety Cataraft or Kayak. We will be pick up at 8:50 am from your hotel in Cusco in our private transportation will take us to our camping ground at "Cusipata river camp", where we can leave our baggage. Here you will enjoy, hot showers, toilets, sauna and a comfortable dinning area. After a comprehensive safety talk you will drive 10 minutes more to Chuqui them we will be running exiting class III & III+. You will spend about two hours floating time, Afterwards, we finish de rafting at CUSIPATA RIVER CAMP "where a good hot lunch will be served and you can enjoy a relaxing SAUNA. And also we have a ZIPLINE with 4 cables over the Urubamba River each one from 100 mts, Our return would be in the afternoon.